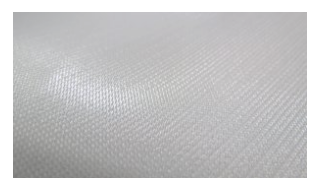 More recent polypropylene filter cloths have been made of multifilament threads, which are grouped together to form a single strand, or “yarn.” Multifilament fibers feature good particle retention and are very durable, since a break in a single thread has very little impact on the overall stability of the cloth. However, the large number of threads create many spaces where solids can settle into the interior of the cloth, which can cause clogging (blinding). This can also lead to the proliferation of microorganisms using lees as a food source. The deeper the particles are embedded in the cloth, the more difficult they are to remove, causing challenges in cleaning. During the past few years, the market for winemaking has generated a wider range of available fabric types, including monofilament and mono-multi cloth materials. Monofilament filter cloths utilize individual round, continuous single-core plastic wire to form the cloth. 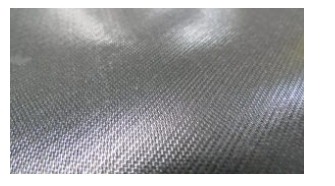 This provides for a very smooth surface, with low particle retention and excellent cake release characteristics. 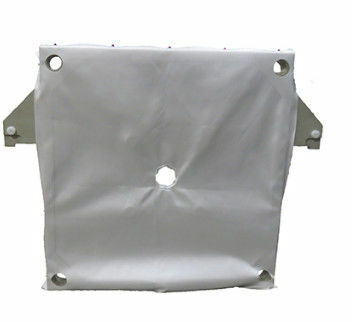 These cloths also have the advantage of being more permeable, allowing for higher flow rates. Because there are less spaces where solids can settle, they are less likely to become blinded, and are much easier to clean. The only drawback to monofilament cloths is in their durability. Because these cloths are woven from individual strands instead of multiple fibers woven together they are more fragile, and a crack in a single strand can compromise the stability of the entire cloth. 2. Food industry: sugar mill, vintage, microzyme, juice, edible oil, vegetable oil, sauce, etc. 4. Non-metallic mine: cement, asphaltum, waste coal, washed coal, ceramic, ball clay, etc. 5. Medical industry: enzyme preparation, amino acid, bacteriophage, medical intermediate, blood preparation, etc.